August 22, 2016. Tags: 2016 Presidential election, AA Democrat vote, donald j trump, Economy, GOP, trump speech to A community, Trump speech to AA. Celebrities, donald j trump, Economy, Education, Entertainment, Faith, Hillary Clinton, Housing, Immigration, journalism, media, migrant crisis, Politics, Popular Culture, Trump, Uncategorized. Comments off. It’s unfxckinbelievable. Year after year Silicon Valley and the Beltway Boyz conspire to betray the American STEM worker by importing tens of thousands of foreign workers under the H1B Visa program, then convert them all to green cards letting them permanently lower the wages of the entire sector. It is deliberate, it is a conspiracy to lower US worker wages. It should be RICO’d out of existence. Read all about the fraud here. Finally a class-action suit (only way to get anything done in the courts today is to ensure a bunch of lawyers make a windfall, then they’ll return your calls) from Disney workers forced to train their replacements is underway. Two candidates are currently unbeholden to the hard lobbying Tech Sector- Donald J. Trump & Bernie Sanders. The Donald has adopted Sen. Jeff Sessions foreign worker visa limitations and requirements. While The Don hemmed and hawed a bit in one of the final GOP debates and on a Savage interview about the H1B visas, he told us straight out a few days later that he uses these visas in his company but he thinks the system needs to be changed as per his position paper. I do not begrudge anyone using the current system to advance their interests, it is human. Be it tax code or worker visas, you play the game with the rules you are given. I DO hold a YYYUGE GRUDGE against the DC politicians (elected to represent US the AMERICAN WORKERS), ‘representatives’ of the peoole, who take BRIBES to make this shxt possible (you call it fundraising I call it what it is). …Cognizant Technology Solutions spent about Rs 17 crore ($2.7 million) last year trying to influence US lawmakers primarily on the country’s new immigration rules, significantly higher than its top three Indian IT rivals put together. However, the other candidates are BEING FUNDED by these companies. Cruz has tried to INCREASE the H1B visas by a factor of 500. The Rube tried to flood us with foreign STEM workers under his ingenius ISquared plan after his Gang of 8 betrayal failed. Cruz, who announced his presidential bid this morning, once proposed an immediate increase in the base H-1B cap from 65,000 to 325,000. Cruz offered the H-1B increase as an amendment in 2013 to the Senate’s comprehensive immigration bill. Cruz’s amendment was defeated by the Senate’s Judiciary Committee, which approved an 180,000 H-1B cap increase in the comprehensive immigration bill. The House never acted on this legislation. …Cruz is part of large group of politicians who will not acknowledge the H-1B’s visas use in offshore outsourcing or the reality of U.S. workers who are forced to train their visa-holding replacements. In defending this H-1B increase, Cruz cited a study by the American Enterprise Institute, which argued that visa workers create jobs. This organization primarily represents the views of large companies and asset management firms…. April 8, 2016. Tags: bernie sanders foreign worker position, bernie sanders visa, construction jobs, disney class action suit, Economy, foreign workers, H1B Visa, H1B Visas, h2b visa paul ryan, hotel jobs, Immigration, India, jeff sessions, michelle malkin, offshoring jobs, outsourcing, paul ryan us jobs, PAUL RYAN VISA POSITION, restaurant jobs, Silicon Valley, software jobs, STEM, tech workers, ted cruz h1b visa, trucking jobs, Trump, Trump visa, US jobs, Visa fraud. Economy, Finance, Immigration, migrant crisis, Obama Administration, Politics, Popular Culture, refugee, STEM, Taxes, Trump, Unemployment Statistics, Wall St. 2 comments. March 21, 2016. Tags: 2016 ellection, Arizona, arizona primary, blue collar, donld j trump, Economy, GOP, Hillary Clinton, Marco Rubio, Middle Class, Mitt Romney, Politics, Trump, trump convention speech, trump gop convention, trump gop speech, trump nomination acceptance speech. Popular Culture. Comments off. 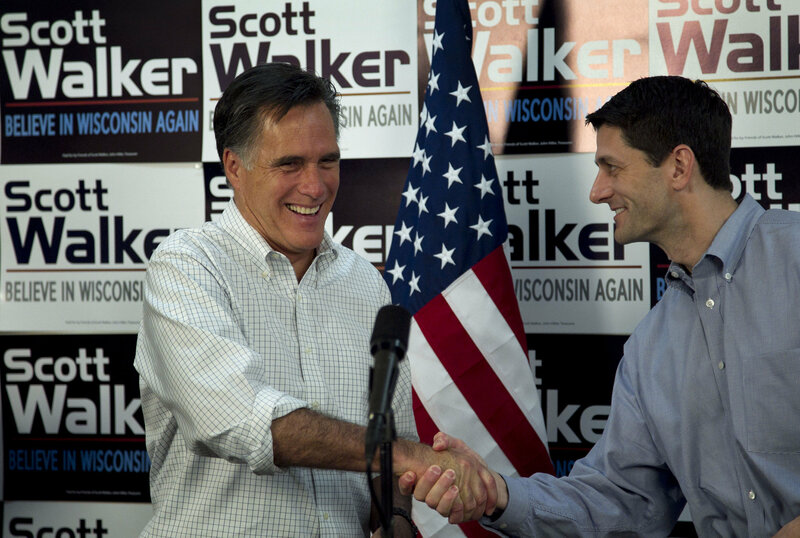 Mittster did us one better and gave us Paul Ryan. Who, in CO this week, said he supports STATES RIGHTS TO ALLOW MMJ AND LEGALIZE MJ. January 13, 2012. Tags: 2012 GOP Nomination POTUS, 2012 GOP Ticket, 2012 Paul Ryan, Chris Christie, Economy, Free market capitalism, GOP Ticket 2012, medical marijuana, Mitt Romney, Mitt Romney Paul Ryan MMJ, mmj GOP, Paul Ryan, Politics, Romney, Romney and Christie, Romney Ryan. Politics. 2 comments. June 22, 2011. Tags: 10th Amendment, Arizona Medical Marijuana, Barney Frank Marijuana Bill, Barney Frank Ron Paul Marijuana bill, Economy, federal prohibition of marijuana, Federalism, Kudlow, marijuana prohibition, Marijuana prohibition repeal, medical marijuana, Ron Paul, Ron Paul Kudlow, Social libertarianism, states rights. Economy, Obama Administration, Politics, Popular Culture, Taxes. Comments off. June 14, 2011. Tags: Arizona Medical Marijuana, AZ MMJ, AZ MMJ Dispensary Lawsuit, DOJ Medical Marijuana Position, DOJ MMJ, Economy, Federalism, Gov Jan Brewer blocks AZ MMJ, Libertarianism, Scottsdale issues dispensary use permits, Scottsdale MMJ, Social libertarianism, states rights. Economy, Healthcare, Obama Administration, Politics, Popular Culture, Taxes. Comments off.